These are powerful words that remind us that God is not only the creator of the universe, but God formed our inward parts and knit us together in our mother’s womb. Therefore, our lives matter to God. This reminder that we are “fearfully and wonderfully made” isn’t an expression of the “power of positive thinking.” It is an expression of God’s declaration that all human life is sacred to God. 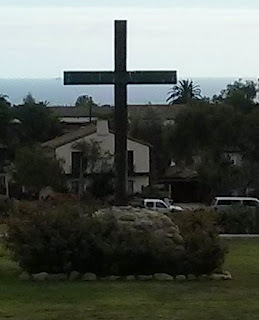 That declaration is affirmed in the person of Jesus, who according to John’s prologue, is “the Word [who] became flesh and dwelt among us” (Jn 1:14). Therefore, as David Gushee writes, because the Word became flesh, “no human life can be seen as worthless” (Kingdom Ethics, p. 157). This is a good word to hear as we enter the fall, especially with all the political rancor we are experiencing. While all lives do matter, it is important that we name those lives that too often are pushed to the margins. The Medieval Jewish commentator Rashi expressed the message of verse 14 of this Psalm in this way: “I shall thank You for in an awesome, wondrous way I was fashioned; Your works are wondrous, and my soul knows it very well.” Indeed! It is in the spirit of this Psalm that we hear God’s message to Israel delivered through Jeremiah: “Just like the clay in the potter’s hand, so you are in my hand, O house of Israel” (Jeremiah 18:6b). While Jeremiah makes this point while delivering a word of judgment on Israel, the thread I want to pull from this passage is Jeremiah’s description as God as a potter. There is in Jeremiah and in this Psalm a sense of intimacy and action on the part of God. God is the one whose hands get dirty in bringing life into existence. The Psalmist reveals a picture of the God who searches us and knows us, whether we’re sitting down or standing up. I know this idea that God can even discern our thoughts from far away can be a bit disconcerting, but it can also be reassuring to remember that God knows us better than we know ourselves. That’s because God formed our inward parts and knitted us together in our mothers’ wombs. As I read this psalm this past week, and began to prepare to share this sermon, I was taken by the fact that this Psalm the lectionary offered fit this weekend like a glove. There is a word here for all who are preparing to go back to school. Starting a new school year can be intimidating, especially if you’re not an extrovert. This might be especially true for those who go off to college for the first time. I was fortunate to go to a small college, accompanied by good friends, even so, moving into the dorm that first September of my freshman year was a bit intimidating! So the good news is this: God is there with you. God knows you and loves you. Don’t be afraid of what is coming! You are fearfully and wonderfully made! Of course this weekend not only marks the unofficial “end of summer,” but it also offers us the opportunity to honor all those who labor. Once again, the lectionary coincides nicely with this occasion. If you take a look at the verbs in this passage, you will discover that the Psalm celebrates the God who works. God searches and knows and protects. God forms us and knits us. God makes us and weaves us. Of course, as the first creation story reminds us – God worked for six days and then rested on the seventh. Labor Day may be a secular holiday and not a feast day of the church, but since almost all of us work at some point in our lives, it’s a good thing to honor all those who work even as we remember that God shares in our labor. This is so true. Think for a moment about meeting someone new. What questions do you ask to get to know them? Isn’t one of our first questions: “What do you do for a living?” If work and labor help define our lives, then, as the Riegers write just a few paragraphs later, “work is what allows people to use their abilities (as well as their disabilities!) in productive fashion for the common good, which increases the welfare of the community and of the planet as a whole” [Unified We Are a Force, pp. 16-17]. The authors also remind us that Scripture often speaks of God as one who works for a living. God is a craftsman, potter, garment-maker, gardener, farmer, shepherd, and tentmaker. Therefore, Judaism and Christianity don’t lack images that can help us value work and workers, “particularly the kinds of workers that are often discounted and belittled” (Unified, p. 117). Not only does Scripture speak of God as a worker, but the Gospels remind us that Jesus himself was a laborer. We read in the Gospel of Mark that the people of Nazareth derided him because he was simply a carpenter, and therefore they weren’t inclined to listen to his spiritual wisdom (Mark 6:3). Yes, Jesus was, apparently, a common laborer, a construction worker, which means that like God he got his hands dirty! 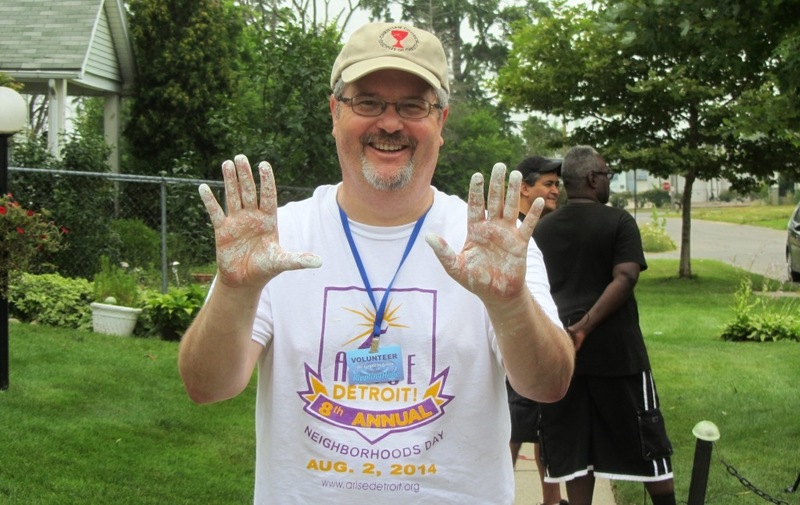 Although I have what many call a white collar job, which doesn’t require me to get my hands too dirty, as I was thinking about God’s dirty hands, I thought about going down to Detroit and working with Rippling Hope. If you’ve worked with me, you know I tend to get my hands dirty. It might be paint or it might be simple dirt, but I get it on myself. So I might as well wear it as a reminder that I am “fearfully and wonderfully made” in the image of the God with dirty hands! There is no better metaphor for this reality than the message of Genesis 2. In the second creation story, God takes some dirt and fashions the first human being from that dirt. Yes, we are the product of God’s decision to get dirty with work. Therefore, as the people of God, let us celebrate this work of God by standing in solidarity with all who labor. Thus the first disciples found him, thus the gift of love sufficed. In a moment we will honor all who labor, by sharing in a litany that allow us to stand in solidarity with all those who, like Jesus, are counted among those who labor.